The term online marketing now encompasses a variety of practices including search engine optimization, online blogging, social media marketing, general link building, and much more. This can be overwhelming for businesses that have just stepped into the world of internet marketing and previously only focused on conventional marketing and advertising strategies. This may sound very general, but it is quite important. Many businesses grow complacent and expect high rewards after they have launched a website or a blog. Nowadays, it’s no longer about being on the internet to get noticed, it’s about establishing your presence by attracting users to your website. How do you do that? By getting a higher ranking for your website or blog on Google, as most people use Google to search for potentially helpful services or a business they need to locate. So it’s important to monitor your keywords, and the quality of your content. Google has introduced a much more advanced algorithm for site ranking, and now websites with better, more readable content are preferred over others. The grammar and spellings should be correct, and the content should have proper text formatting along with headings and sub-headings. Many firms only focus on the quality of their websites, and create complex and attractive pages which take time to load. If your website takes time to load, the user is likely to just close the tab and open another link. Therefore, it’s important to keep your web pages attractive and accessible. Many firms don’t follow the feedback of their clients or potential clients on their blogs or websites. Not only does that send a negative image of the company, it also stops your marketing strategy from evolving and becoming more efficient. Feedback and comments can be a valuable source to gather information about the strengths and flaws of your content or services. You can use it to effectively create a better strategy. This is something that many businesses ignore. They spend a lot of money on creating a good quality website, and then start expecting a lot of traffic. That’s not how it works, in fact; inbound links are perhaps the most effective way for a small business to break their bubble. In-bound links from other high quality websites not only increase your rating on Google, they also ensure referral traffic and exposure to different opportunities. 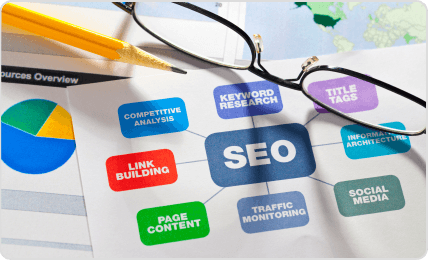 If all of this seems too overwhelming to you, you can hire other companies that offer SEO link building services to increase the traffic and rating of your website or blog. GetYourSiteRank.com is one such company which offers remarkable services which include; a website maintenance service, link building, social media marketing, lead generation and much more. You can visit their website or call them at +65 6100 4977. How will building a strong social profile help you and your business be found on Google? These types of questions are asked by plenty, so we thought why not help you find the answer. Did you know that a social profile gives your site a “nofollow” link? Nofollow links do not give you the link juice, or help with SEO, when you post new status on Facebook wall, or when you tweet a new message on Twitter, pin a post on Pinterest, upload a video on YouTube, and so on. So how will social media help in your SEO? Well, social media can help in your SEO when you optimize social profile pages like “about us” with keywords you want to target. Crafting “SEO-ed” post and pages on social profiles will help it seem more relevant to people searching for it, and hence, rank you better in search engines. 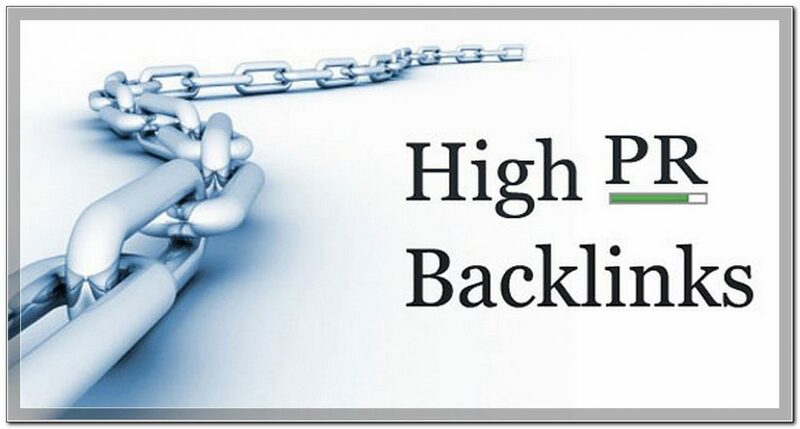 However, if you simply want to rank higher with backlinks from social media sites, you will not get much help there. This is why you need to understand what Matt Cutts, the head of anti-spam department on Google, has to say. 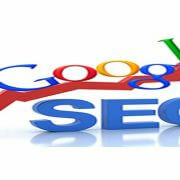 “SEO isn’t everything for ranking higher in the search engines. For a while, forget about SEO, and instead focus on users,” advises Matt. “Focus on users who use their social profiles to search for information that you publish. Those people, who will recommend your content to others, and who in turn, will recommend to others,” shares Matt. Instead of focusing only the SEO, you’ll have to put some efforts to generate helpful and useful tips, tricks, and honest reviews about product and services for people who will spread the message, and if they like it, they’ll share it with their social circles, connections, and friends. 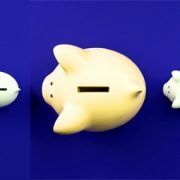 So you see, if you can tap into this market, they’ll help your business grow as well as rank better in search engines. By driving them to your site, by making them “Like,” your content, or even “Share” them with their connections, they’re actually sending social signals to Google saying that this person/site is trustworthy, provides informative and useful content, and we trust what he/she has to say. No wonder why major search engines such as Google, Yahoo, and Bing have started to give more priority to authority figures and brands. What actions should you take in order to allow social media to help in your SEO? Do insert links back to your site/blog so that people can actually visit your site if they’re interested to learn more. Use social blog to build deep and lasting relationships and drive them to your blog/site. Make sure to add social share icons on your website page/post(s) so that people have an option to share, or like, them if they really appreciate you effort. Focus your energy to become an industry-expert by creating informative as well as interesting content so that your readers have a reason to leave their social profile and visit your blog/site. Enjoy what you’re doing and you’ll never have to work for the rest of your life. If you love what you do, you won’t mind working long hours on your business, do you? Over to you! What are the ways social media help in your SEO? Please comment below. https://getyoursiterank.com/wp-content/uploads/2016/07/Does-Social-Media-Help-in-Your-SEO.jpg 555 2000 Online Ion https://getyoursiterank.com/wp-content/uploads/2016/09/logo.png Online Ion2013-12-13 21:08:252016-07-11 09:13:40Does Social Media Help in Your SEO? If your site/blog isn’t ranking higher in search engines and driving the amount of traffic to it, you are probably doing SEO wrong. Most entrepreneurs, especially those who do not understand the importance of SEO for their business, simply build their website in a rush and hope that offline marketing like worth of mouth will give them a competitive advantage over others. With search engine listings, any business has a potentially bring thousands, if not millions, of free traffic (potential customers) to your website. With search engines like Google, any startup can outperform giant companies who spend millions of dollars to rank in the first page. With that said, we thought you might be interested to learn some of the SEO facts and figures so that you understand how important it is today to be in the online sphere for a long time. Websites that aren’t optimized for search engines will not be found on the Internet. If you need your website to be on the 1st page, you’ll have to perform keyword research to find profitable keywords that are worth targeting after. Almost 85% of search engine users look at the top 10 results on the 1st page. Blackhat SEO methods such as keyword stuffing (inserting keywords all over the page to influence rankings) and link farming (posting content on low quality sites) will get your website penalized, and at worst, banned. Hiding text or links into your pages will boost page rank, however, if caught; it will get you banned from search engine result. Flash based sites aren’t indexed properly on search engines database. You need to post fresh content if you want to keep your website ranking where it is now, or even higher. More than 70% users click on organic links instead of paid advertisement seen at the sidebar of most search engines. More than 81% of businesses think that setting up a blog is an important asset. Over to you! Have you optimized your website for search engines? What steps do you take to optimize your website and its content? Please comment below!